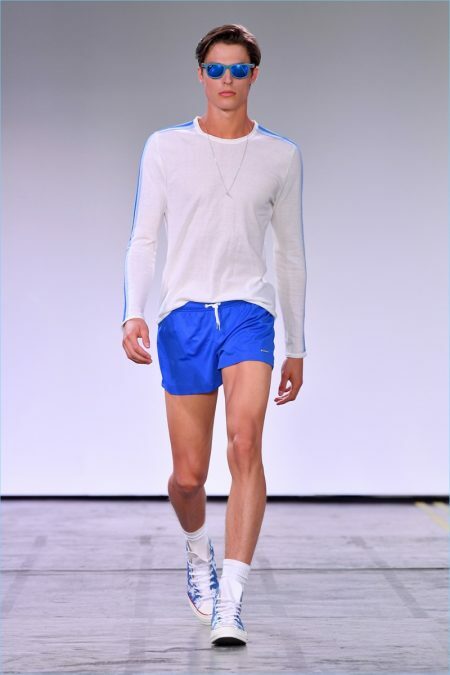 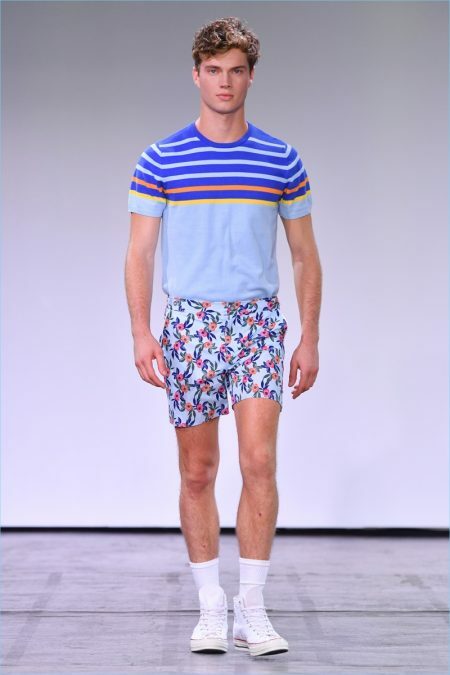 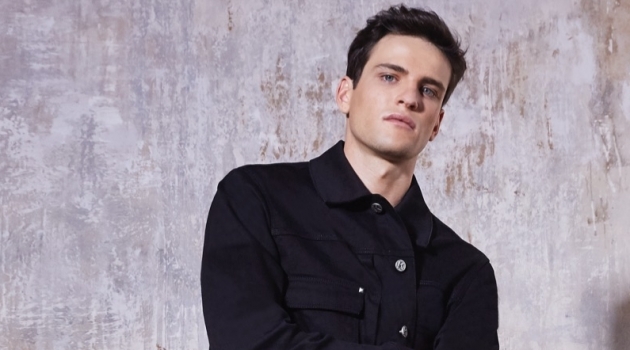 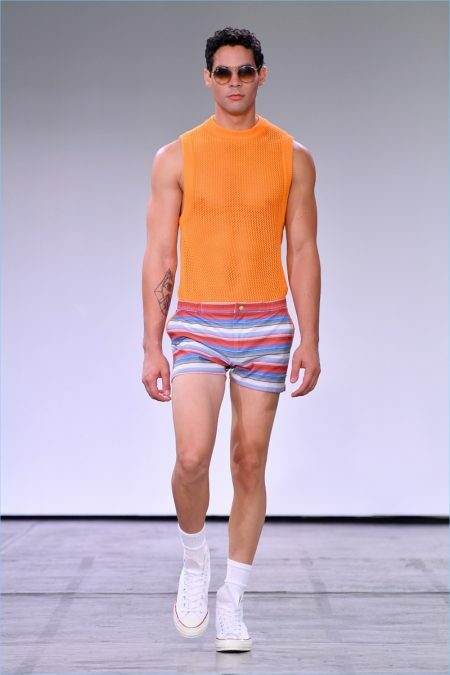 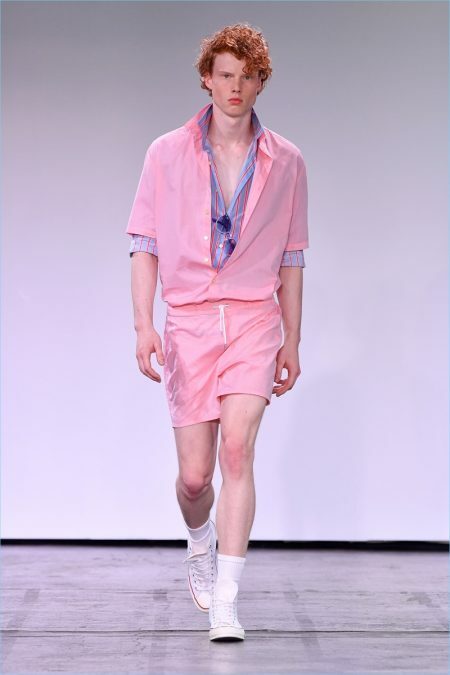 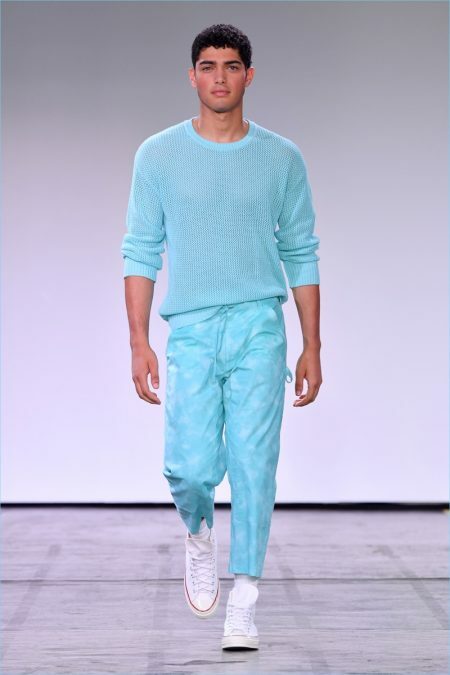 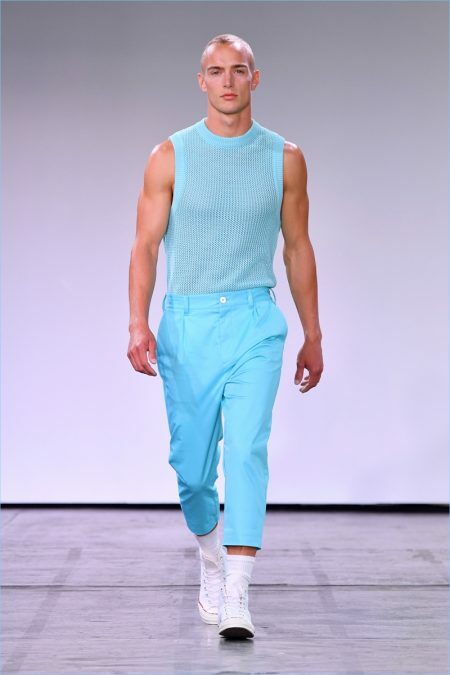 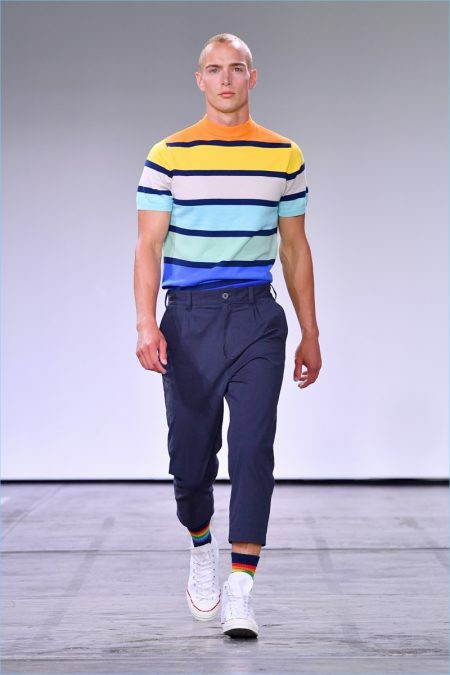 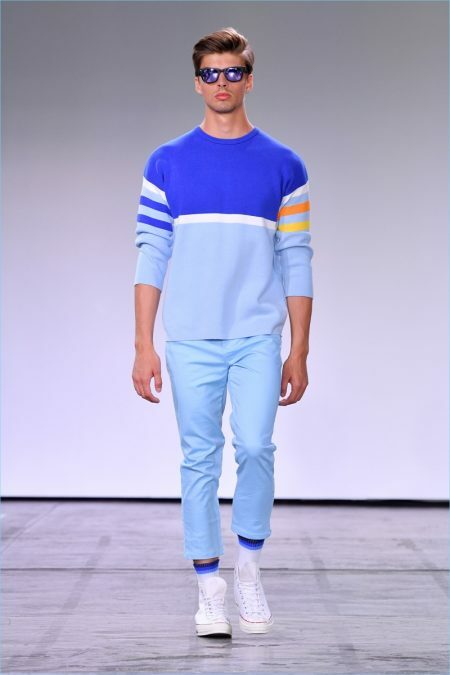 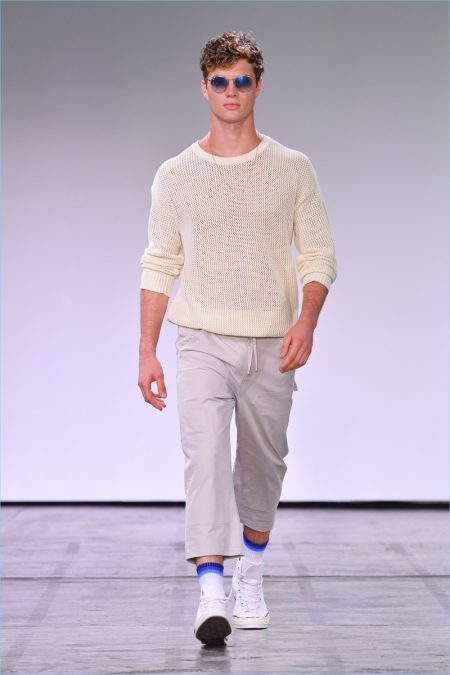 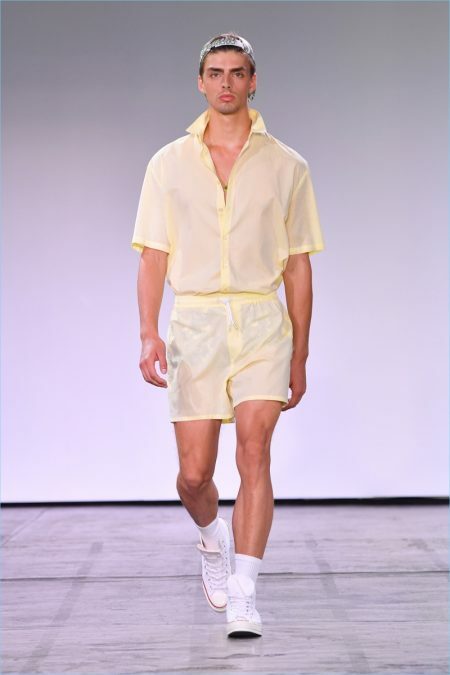 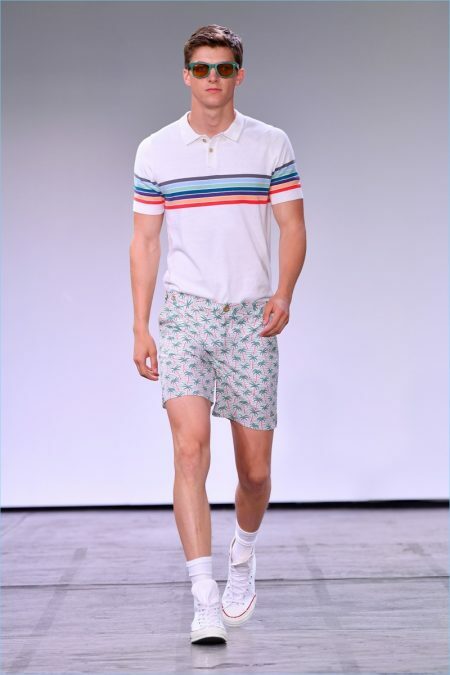 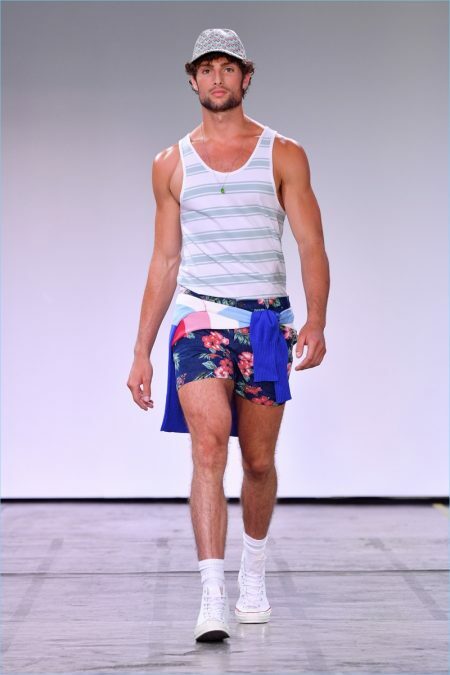 Parke & Ronen cites Malibu as its inspiration for spring-summer 2019. 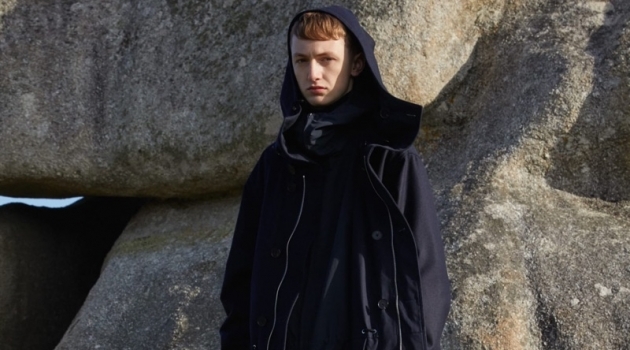 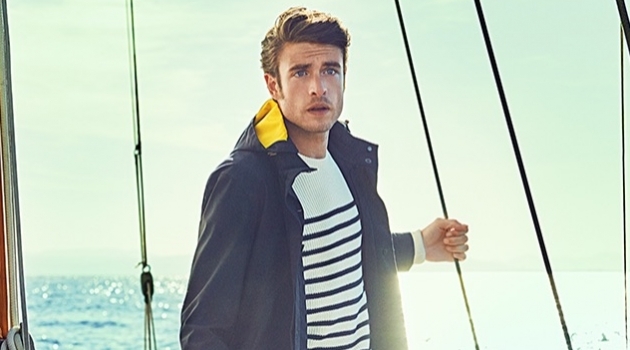 The fashion brand keeps in mind Malibu's natural landscape. 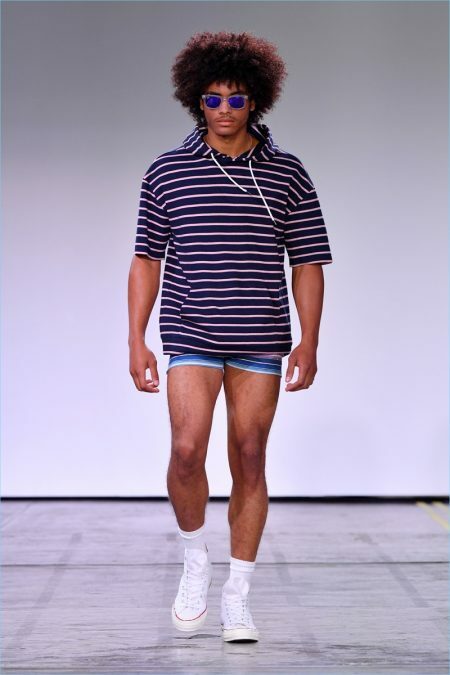 At the same time, Parke & Ronen considers the synthetic beauty of Los Angeles culture during the eighties. 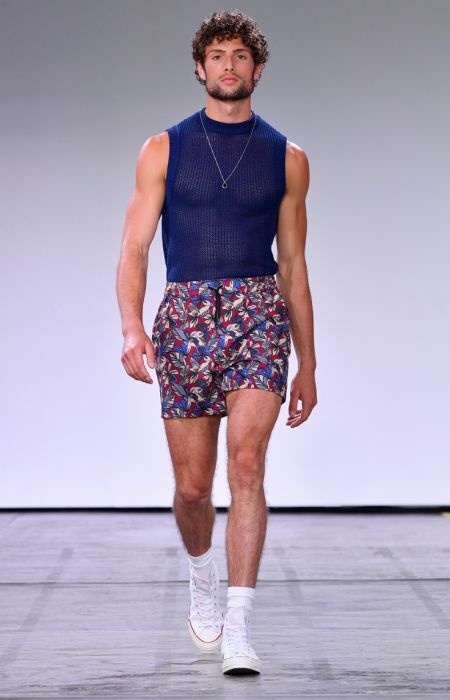 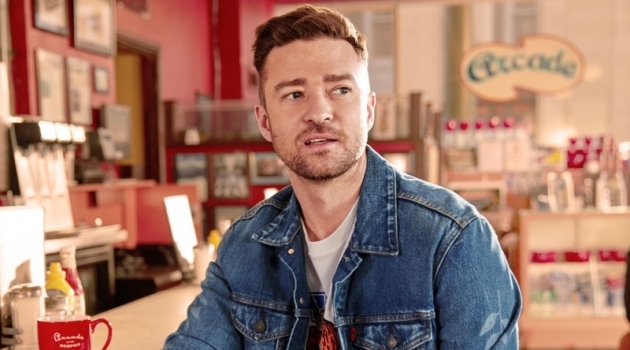 The brand's ideal man takes on the roles of a skater, Muscle Beach regular, and Hollywood hustler for the season. 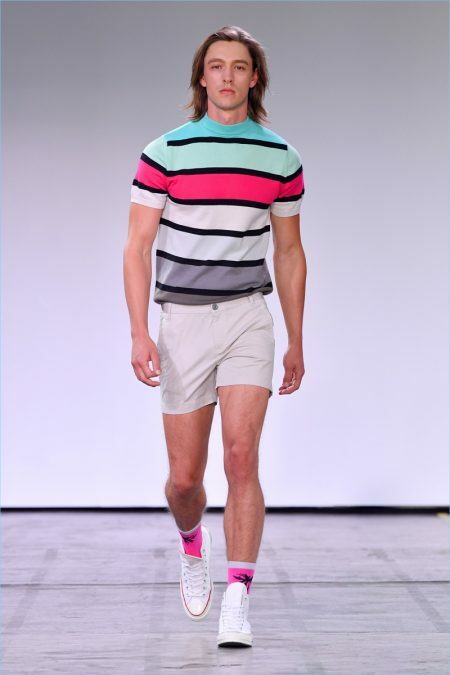 As usual, bright colors dominate the collection, but this time we view them thru the lens of the eighties. 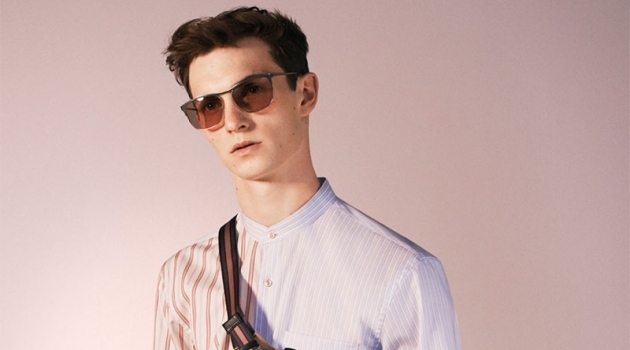 Dusty pink, pale yellow, turquoise, and more come together. 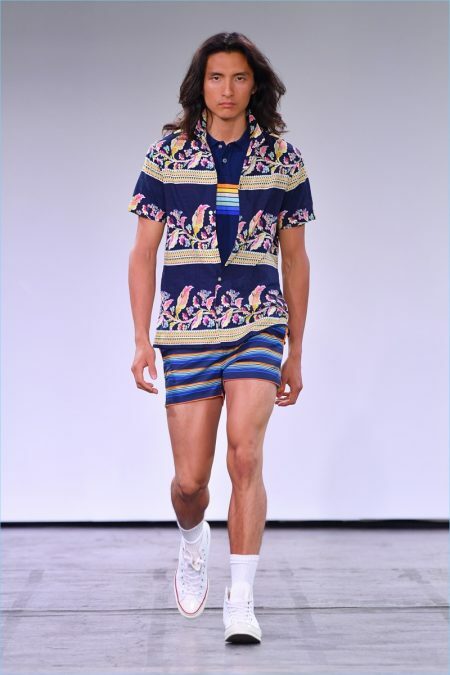 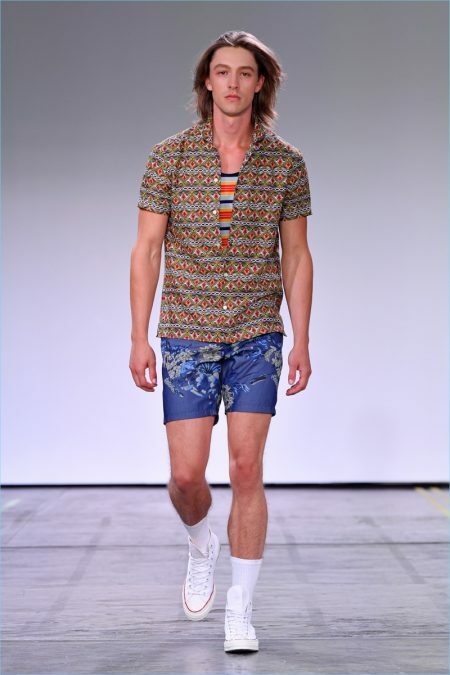 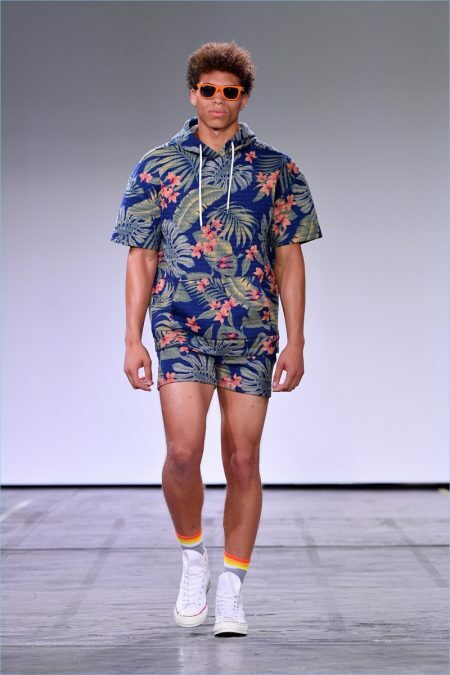 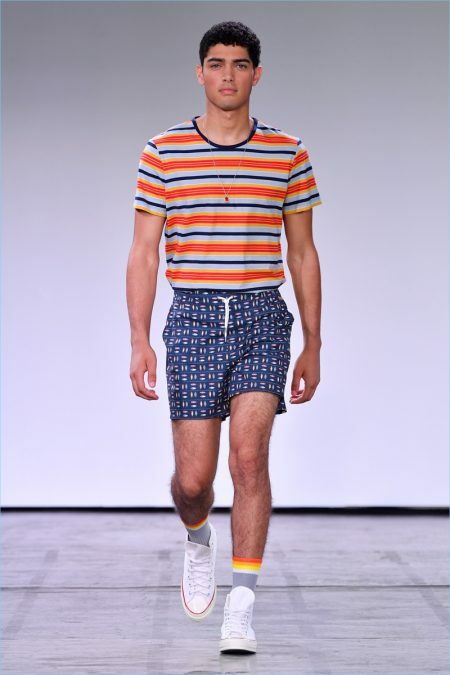 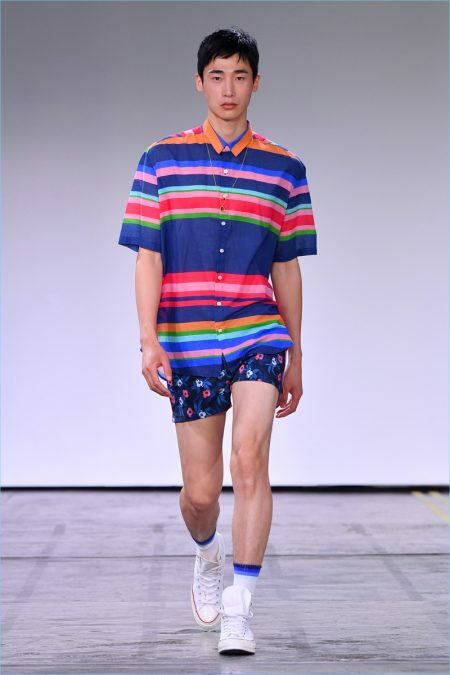 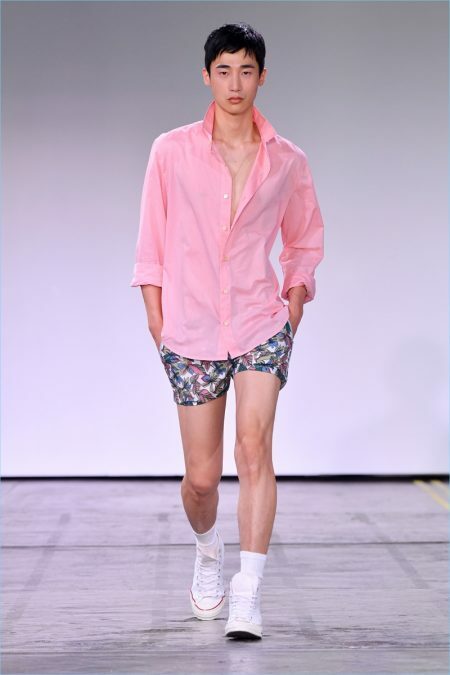 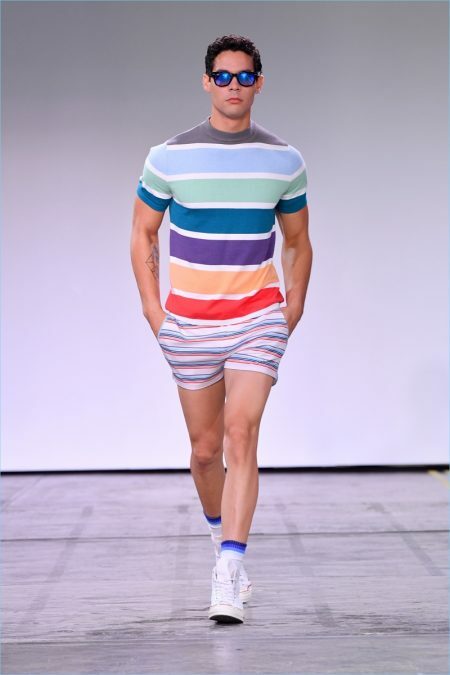 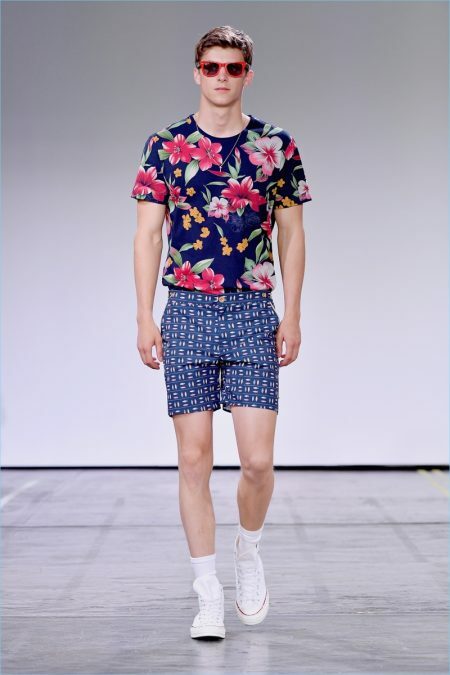 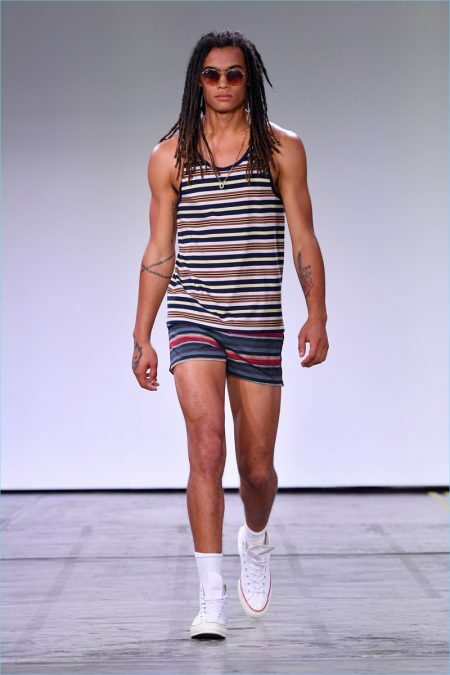 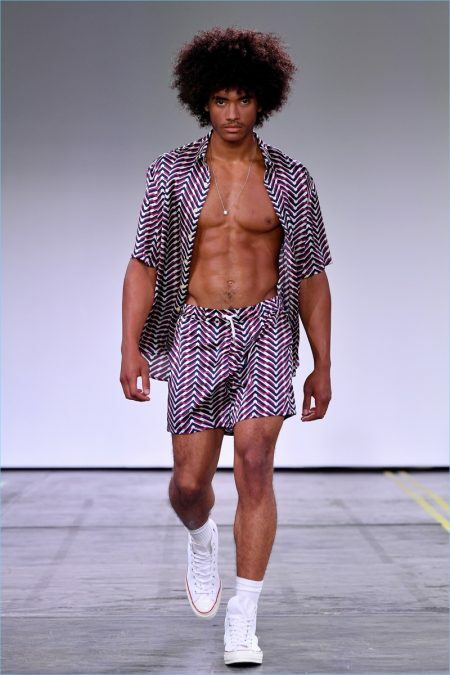 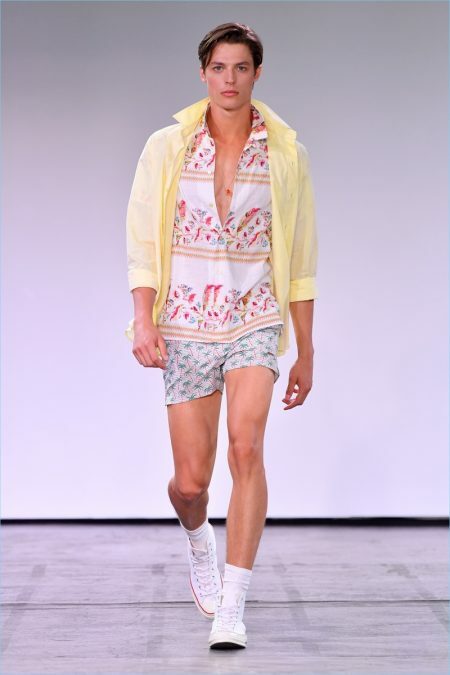 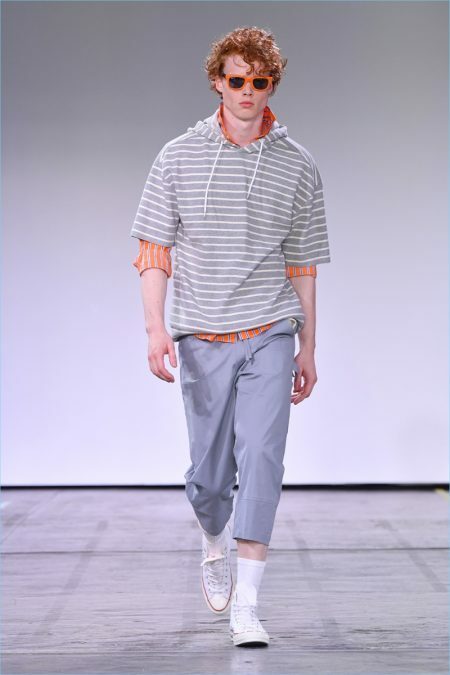 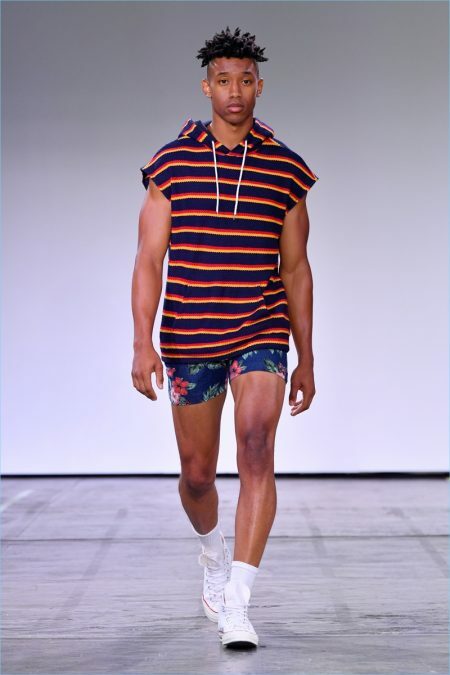 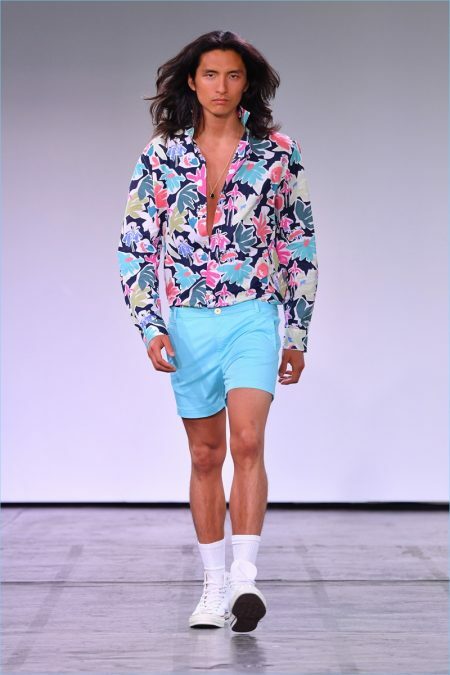 Taking to the catwalk, Parke & Ronen's men wear tropical print shirts, swim shorts, lightweight sweaters, striped tees, and sleeveless hoodies. 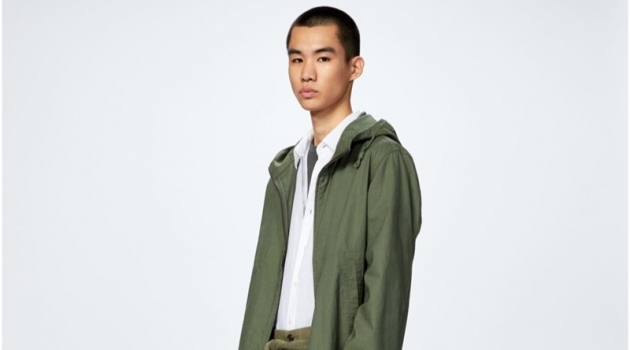 Additional pieces include cropped pants, smart button-down shirts, and coordinated outfits.